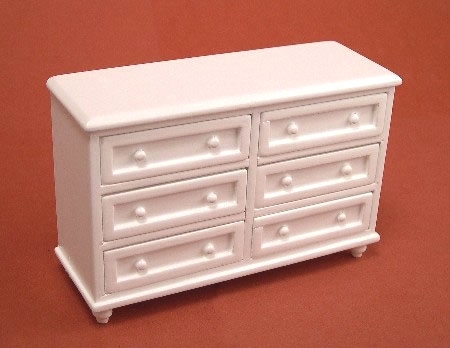 This very elegant wood chest of drawers is finished in either white. This piece has six recessed panel drawers, three on each side, with matching wooden knobs. The style is timeless and will work beautifully with any style of decor. 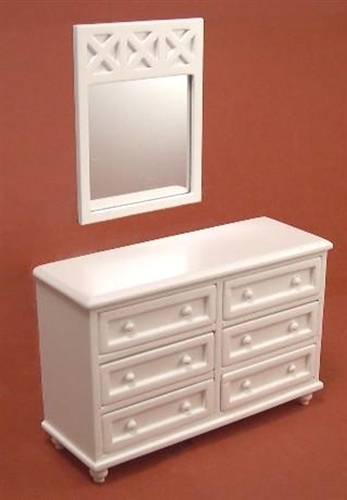 Pair it with the Ashley Mirror for a 2 piece dresser set.